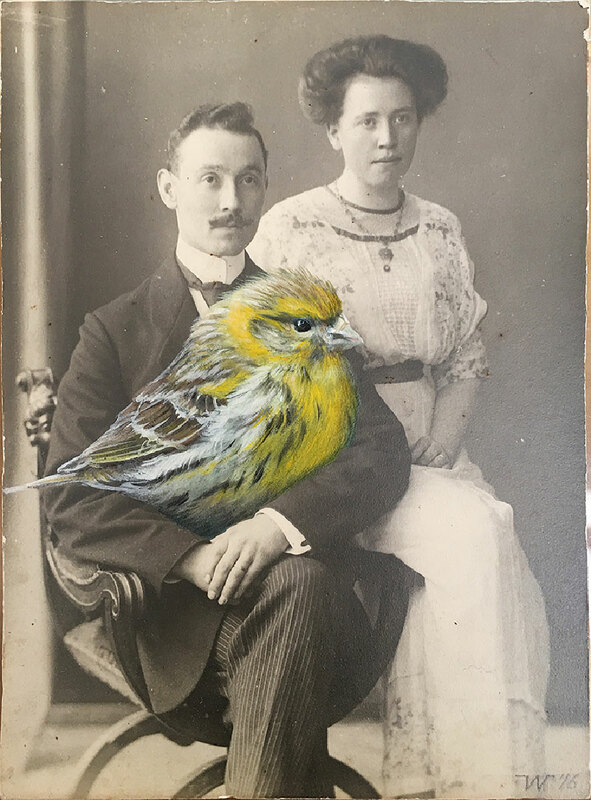 Cologne-based artist Anja Wulfing paints over nostalgic photographs and prints depicting people from the turn of the century. 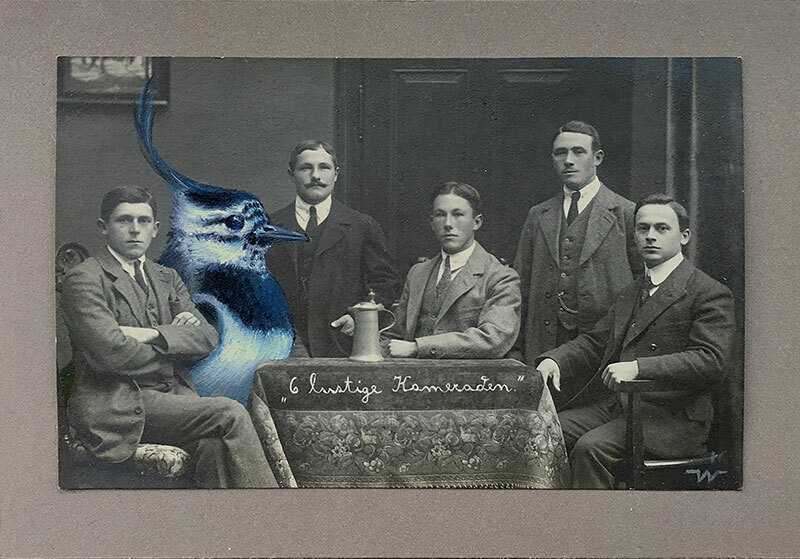 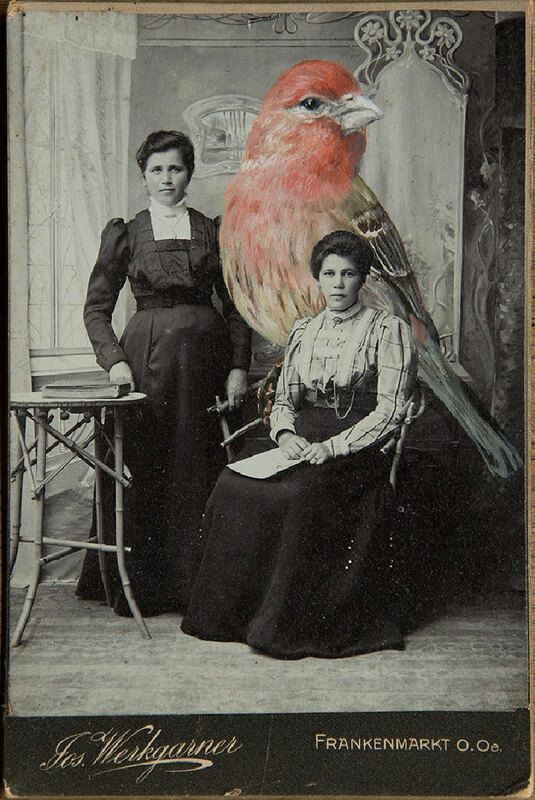 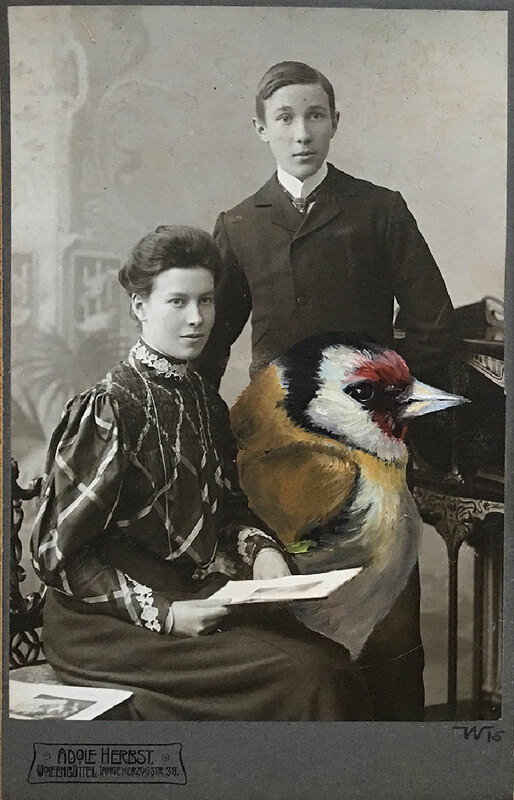 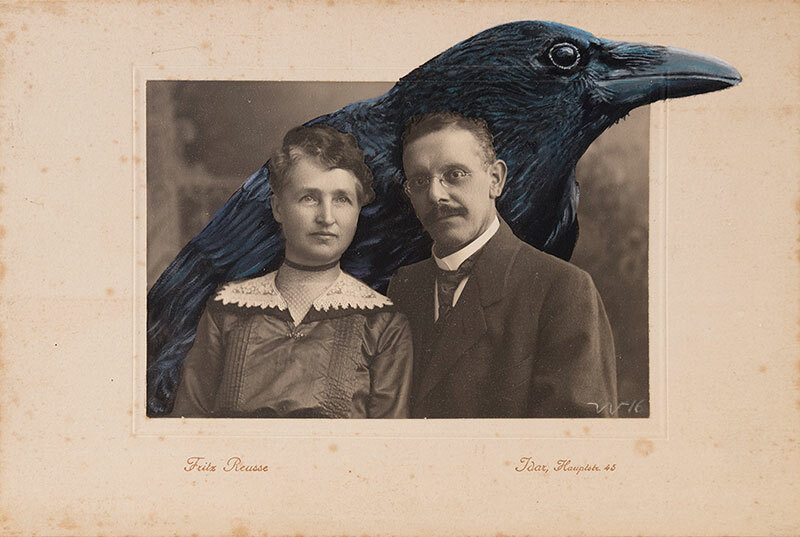 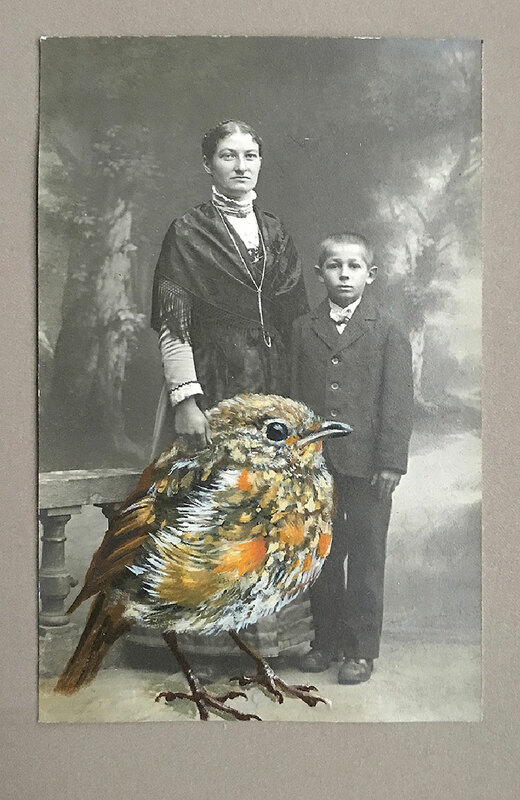 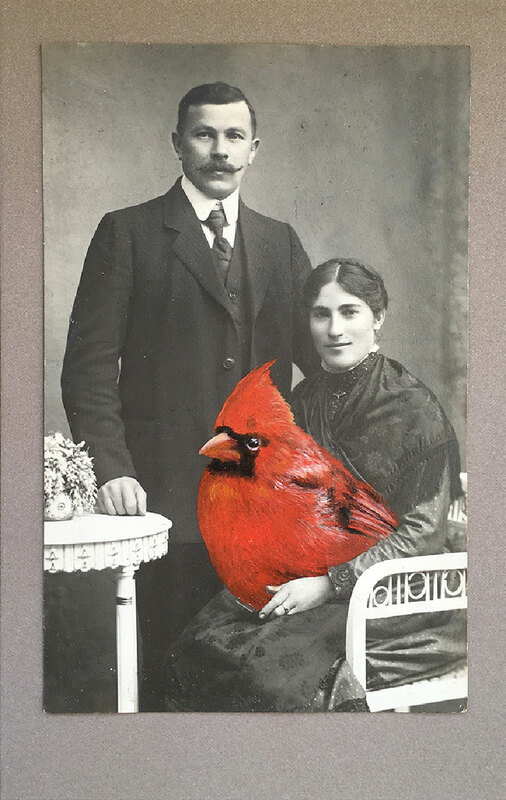 These oversized birds are added to the vintage photographs intermingling with people while others are treated as pets. 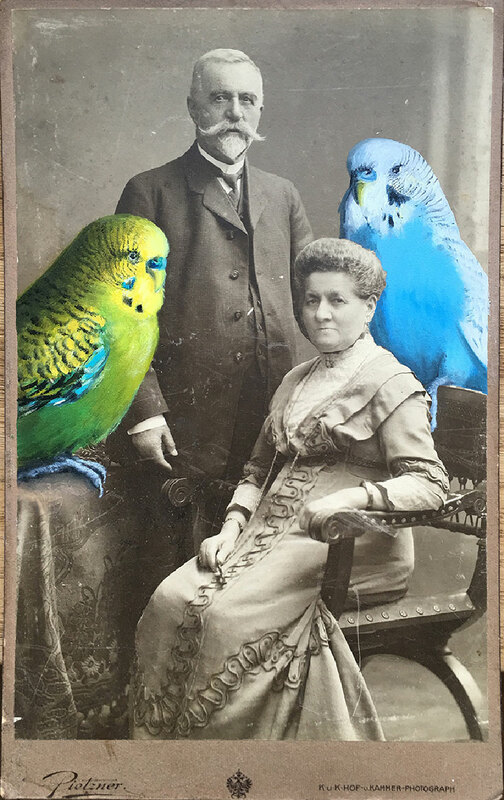 The photographs are painted in such a manner that they almost look natural in an odd sort of way. 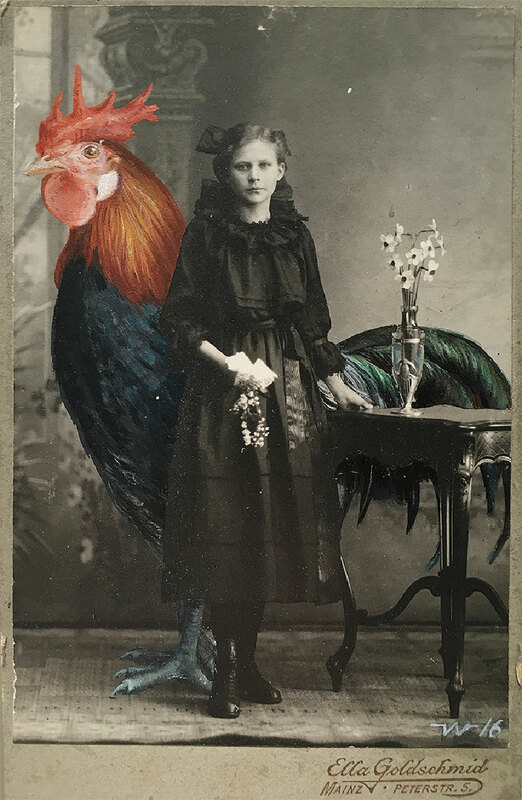 The composition of past reality and humorous fiction has a strangeness that oddly feels intimate. 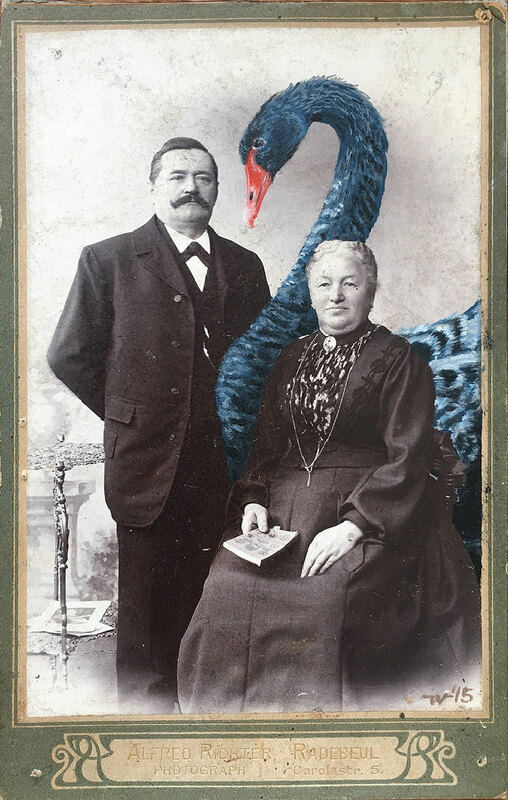 The intent is to inspire the observer to imagine his own fantastical story in which such scenarios would be possible. 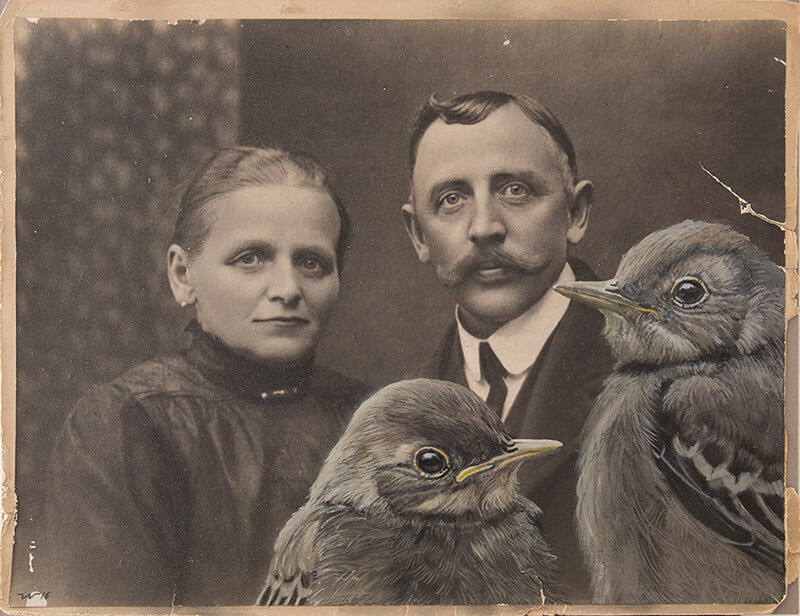 See more of Anja Wulfing's work on Behance or at her website. 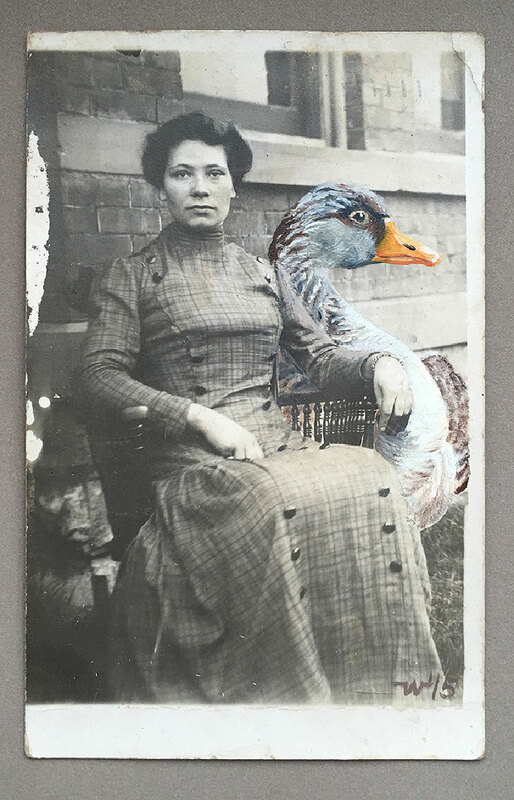 Cologne-based artist Anja Wulfing paints over nostalgic photographs and prints depicting people from the turn of the century.